The Pontcysyllte Aqueduct - A canal boat holidays attraction. 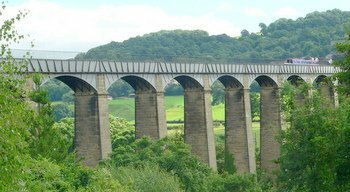 The Pontcysyllte Aqueduct carries the Llangollen canal over the River Dee on the English / Welsh border. The aqueduct is grade 1 heritage listed and a world heritage site.